The Valle d’Itria area is characterised by the presence of dry stone vernacular structures called ‘trulli’. Although these represent a unique example of complex vernacular architecture, an in-depth analysis of their geometric features has not been carried out. This paper aims to fill that gap, and includes a review of their historical origin and a description of their most common building typologies. The building technique is reviewed in all its stages in order to point out the important relation between construction, structural behaviour and final shape of the building. Furthermore, morphologies and proportions of 30 existing trulli are investigated, by means of virtual three-dimensional models obtained by a combination of laser-scanner and geo-radar surveying. The high-fidelity geometric models offer a new interpretation of their architecture. Moreover, this study highlights the lack of a systematic and consistent building methodology of trulli. All images and photos shown here are by the authors. Todisco, Leonardo, Corres-Peiretti Hugo and Caitlin Mueller. 2016. Funicularity through External Posttensioning: Design Philosophy and Computational Tool. 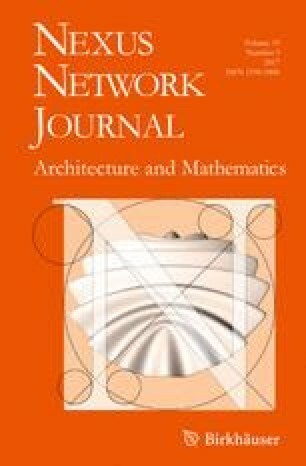 Journal of Structural Engineering 142: 1–9. doi: 10.1061/(ASCE)ST.1943-541X.0001416. Todisco, Leonardo and Giuseppe Sanitate. 2016. Static stability of trulli. Materials and Structures 49: 2893–2905. doi: 10.1617/s11527-015-0693-4.